It is all too easy for teenagers to stray from the safe path of working hard in school and spending time with their families. Due to peer pressure, trouble at home, mental health issues, or any number of other factors, adolescents may put their energy into drugs, alcohol, skipping school, staying out late, shoplifting, and committing more serious offenses. This kind of activity typically lands teenagers in juvenile court where they may be adjudicated delinquent or responsible for a crime. Unfortunately, this gives an adolescent a criminal record, which can hold them back as an adult. If you have a juvenile record and you are trying to move forward in life, gaining an education and starting a career, then it is best to speak with an experienced Florida expungement attorney at our office. We can explain what happens to your juvenile record when you become an adult and whether you need to take steps to seal or expunge that record. Your juvenile record is typically confidential. These are not public records that anyone can access. However, they can be released to the public in various circumstances. If you are able to have your juvenile record sealed or expunged, then they cannot be released to the public at any time. 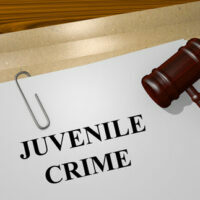 Your juvenile record will automatically be expunged when you turn 21 years old or 26 years old, if you were committed to a juvenile prison or correctional facility, based on Florida Statute Section 943.0515. However, this is not available if you were treated as an adult for the juvenile offense or you have since been charged with or convicted of a forcible felony as an adult. You may wish to have your juvenile records expunged early. When you are between age 18 and 20 years old, there are certain circumstances under which you can ask for your juvenile record to be expunged prior to your 21st or 26th birthday. To be eligible, you must not have been charged with or convicted of any criminal offense within the preceding 5 years. Based on Florida Statute Section 943.0582, if you completed a juvenile pre-arrest or post-arrest diversion program for a non-violent misdemeanor, not including domestic violence, you may apply for juvenile diversion expungement. A diversion program means that you were not adjudicated delinquent, which is not the same as a criminal conviction, yet is often treated as just as bad. The state attorney office must certify you completed the authorized program. Also, you cannot have been convicted of any other crime since then. If you were arrested as an adolescent and it was determined the arrest was made by mistake or in contrary to the law, then you may ask for an administrative expungement of the arrest record, based on Florida Statute Section 943.0581. Do You Want to Apply for Expungement? If you have a juvenile record but want a clean slate, contact our legal team at Salazar & Kelly Law Group, P.A. in Kissimmee. You can also contact us online to schedule a consultation. We will review your situation, advise you on your options for expunging or sealing your juvenile record, and then guide you through the necessary court process.